[S180] Find A Grave: Riverside Cemetery, Waterbury, Connecticut, Sarah Leavenworth Kingsbury Carter, created by D C, date added Jun 2010, Memorial number 54273342. [S334] 1880 US Federal Census, New Haven, New Haven County, Connecticut, digital image Ancestry.com ; National Archives micropublication, Franklin Carter head of household, roll T9_106, enumeration district 91, page 244B. [S1638] 1900 US Federal Census, Williamstown, Berkshire County, Massachusetts, digital image Ancestry.com ; National Archives micropublication, Franklin Carter head of household, roll 633, enumeration district 88, page 1B. 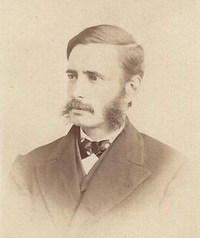 Bt 1881 - 1901 Franklin Carter was the president of Williams College. Additional information can be found at: http://en.wikipedia.org/wiki/Franklin_Carter. [S1440] Lucius Barnes Barbour, compiler, Connecticut Vital Records (The Barbour Collection): Waterbury Births - Marriages - Deaths 1686-1850, Hartford CT: NEHGS, 1928, viewed either NEGHS or ancestry.com (page numbers are different), p 75. [S180] Find A Grave: Riverside Cemetery, Waterbury, Connecticut, Franklin Carter, created by D C, date added Jun 2010, Memorial number 54273531. [S317] Wikipedia, On-line database of general knowledge contributed by the public www.en.wikipedia.org, article=Franklin Carter, viewed on July 2007. [S317] Wikipedia, On-line database of general knowledge contributed by the public www.en.wikipedia.org, viewed Dec 2007. [S329] Ray W Justus, family tree titled "Justus Painter Families", published by Ancestry.com, wc.rootsweb.ancestry.com, from database named rwjustus, viewed on Jul 2007. [S330] 1860 US Federal Census, New Haven, New Haven County, Connecticut, digital image Ancestry.com ; National Archives micropublication, Benjamin Silliman head of household, roll M653_86, page 136. [S3747] 1870 US Federal Census, New Haven, New Haven County, Connecticut, digital image Ancestry.com ; National Archives micropublication, Benjamin Silliman head of household, Ward 1, roll M593_109, page 19B. 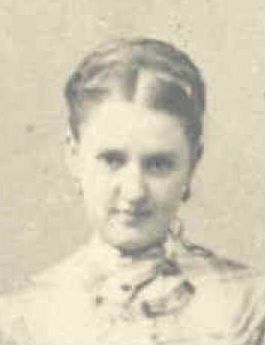 [S759] Susan, family tree titled "Susan Rockwood Bradley", published by Ancestry.com, wc.rootsweb.ancestry.com, from database named velvet49, updated May 2013, viewed Dec 2016. 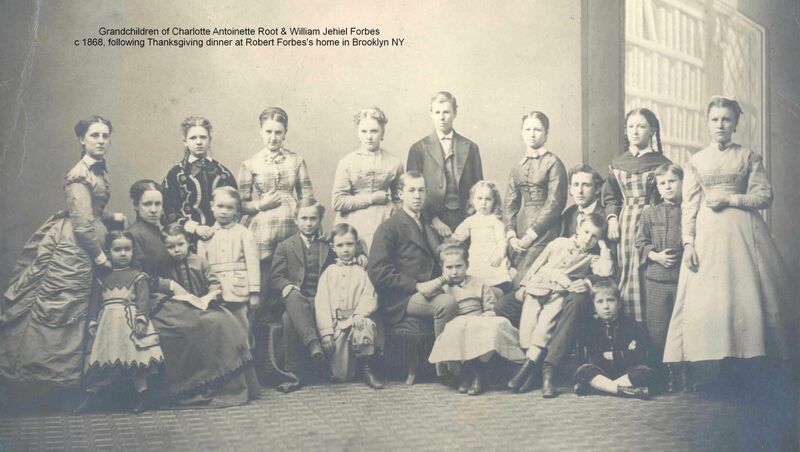 [S347] 1880 US Federal Census, New York City, New York County, New York, digital image Ancestry.com ; National Archives micropublication, Robert Kelly head of household, roll 880, enumeration district 296, page 409B. [S5616] Find A Grave: Rhinebeck Cemetery, Rhinebeck, New York, Mabel Silliman Kelly, created by Beverly Kane, added Mar 2014, memorial number 127002967. 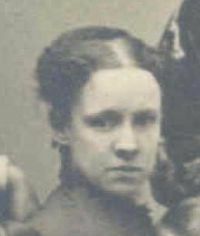 [S179] Judith Ann Schiff, "The First Female Students at Yale", Yale Alumni Magazine , published Sep/Oct 2009 (n.p. : n.pub.). [S335] 1880 US Federal Census, Louisville, Jefferson County, Kentucky, digital image Ancestry.com ; National Archives micropublication, Wm B Belknap head of household, roll 423, enumeration district 128, page 479C. 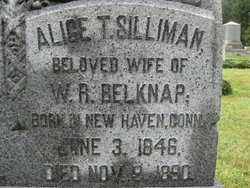 [S5608] Find A Grave: Cave Hill Cemetery, Louisville, Kentucky, Alice Trumbull Silliman Belknap, created by Linda Applegate Brown, added Aug 2011, memorial number 74633880. [S5615] Walter G Davis Jr, Class Secretary, History of the Class of 1908 Yale College, Volume 1, Yale University New Haven, CT, 1908, p 63. 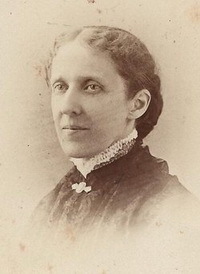 She died on 17 Feb 1890 in New Haven, Connecticut, at age 48. [S258] Pat, family tree titled "Millard/Miller of Rehoboth", published by Ancestry.com, wc.rootsweb.ancestry.com, from database named nnpatrn, updated Mar 2002, viewed Aug 2009. [S334] 1880 US Federal Census, New Haven, New Haven County, Connecticut, digital image Ancestry.com ; National Archives micropublication, Arthur W Wright head of household, roll T9_106, enumeration district 090, page 232A. [S5598] Alexander Hamilton Wright, The Descendants of Veach Williams, of Lebanon, Conn., Who was of the Fifth Generation from Robert Williams, Who came from England in 1637, and settled at Roxbury, Mass., New Haven CT: Tuttle, Morehouse & Taylor, Printers, 1887, p 95. [S497] William Bradley, family tree titled "Conneticut Bradleys", published by Ancestry.com, wc.rootsweb.ancestry.com, from database named williambradley7, updated Jun 2002, viewed Jul 2010. [S3585] Roger Gillham, family tree titled "RogersTree", published by Ancestry.com, wc.rootsweb.ancestry.com, from database named rogerstree, updated Jun 2010, viewed May 2015. [S348] Stephen Dodd, The East Haven Register: In Three Parts, sold by A H Maltby, 1824, viewed on-line at Google Books, also viewed openlibrary = http://openlibrary.org/books/OL20499920M/…. Also viewed at archive.org, Part 2, p119. [S733] Connecticut Marriages and Deaths 1792-1837, online database, digitized by NEHGS, 2005 www.newenglandancestors.org. Original publication: John Elliot Bowman "Some Connecticut marriages: 1820-1837, Items from the Norwich Courier, and other Connecticut newspapers," "Connecticut Deaths 1792-1833" 14 vols, Typescript - 1928-1933. Viewed Dec 2007. [S348] Stephen Dodd, The East Haven Register: In Three Parts, sold by A H Maltby, 1824, viewed on-line at Google Books, also viewed openlibrary = http://openlibrary.org/books/OL20499920M/…. Also viewed at archive.org, p 75. [S690] David G Ball, family web site titled "The New England Ball Project", www.newenglandballproject.com, updated Oct 2009, viewed Nov 2009. Samuel Forbes was baptized in Sep 1703 in Hartford, Connecticut. Samuel Forbes was called Captain. He died on 26 Apr 1757 at age 53. Mary Thompson was born on 30 Apr 1709. Mary Thompson died on 24 Apr 1777 at age 67. 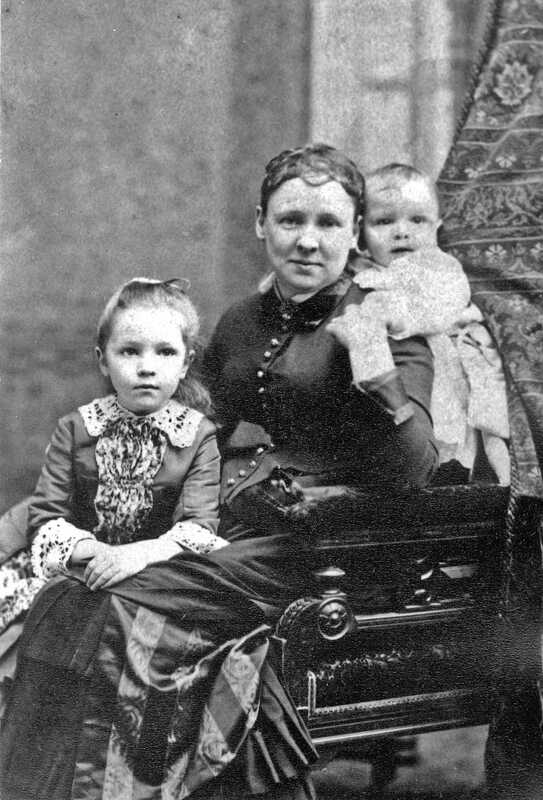 John and Mary lived in Hartford, Connecticut. [S1003] Norbert Bankert, family web site titled "The Bankert Family", http://www.bankert.org, updated Oct 2007, viewed Aug 2008. [S152] Clarence Almon Torrey, New England Marriages Prior to 1700, Baltimore: Genealogical Publishing Company, 1860-1862, viewed on-line at ancestry.com, Vol 1 p 560. [S1476] Charles Hyde Olmsted, "Genealogies: The Forbes Family", The Connecticut Nutmegger Vol: 3:136-142, (On-line database www.newenglandancestors.org New England Historic Genealogical Society: 2009). Mary and John lived in Hartford, Connecticut. Ebenezer Hopkins died in 1711. [S713] Dale, family tree titled "The UPDIKE-ARMOUR & WIEBE-QUIRING Genealogy. I have merged my parents' separate files into one database", published by Ancestry, wc.rootsweb.ancestry.com, from database named UNKNOWN, updated Sep 2007, viewed Feb 2008 , Not Available as of Apr 2015. Daniel Denny was born on 22 Jul 1753, in Leicester, Massachusetts. He died on 8 Jan 1754 in Leicester, Massachusetts, at 5 months and 17 days. Thomas Denny was born on 15 May 1757, in Leicester, Massachusetts. He married Lucretia Sargent, daughter of Phineas Sargent and Mary Edson, on Sunday, 25 Dec 1791. Thomas Denny died on 5 Dec 1814 at age 57.